The Cutest Winter Jackets for Women! Do you like to wear cute clothes? Are you looking for some cute jackets for women today? I am a proud girly woman (who loves to wear the cutest clothes!) and I only pick cute and girly stuff! On this page you are going to find the cutest winter jackets for women in all cute colors! 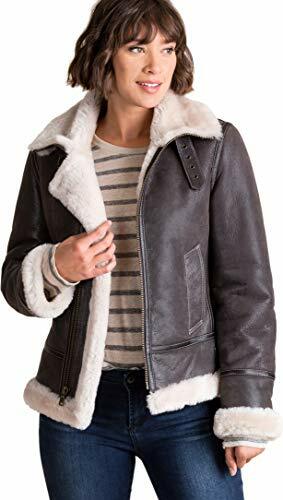 You will find cute, colorful and very warm winter jackets, fashion winter jackets and also gorgeous and colorful leather jackets too! What a gorgeous, fun and cute dark green color faux fur bomber jacket at the top! Very warm, stylish and cozy too! Out with the boring, dull jackets! In with cute, fun and colorful jackets! Cute Bomber Jacket for Women! This is an absolutely gorgeous, warm and cozy chocolate brown bomber jacket for women! I love the cozy white plush wool interior! If you are looking for a fun, chic and stylish winter jacket, look no further ladies! It’s perfect for a cold and windy day outside! What a gorgeous and very stylish design! This has got to be one of the most flattering and fashion bomber jackets for women around! Great winter gift idea for the girly fashion woman! I also love white color jackets that have a fun, colorful print on them. This is a very cute and fun colorful hearts tree design white fleece jacket for women! The word LOVE is also written in big letters above the tree. I love this adorable ‘happy monster’ green fleece jacket for women! The design features a fun and colorful alien monsters drawing with a cute toothy smile! He is definitely a friendly alien! The fit is also very flattering! I just LOVE cute cotton jackets! They are soo comfy to wear! How fun and creative is this colorful eye design dark gray color zip up cotton jacket ladies? It says ‘EYE see you’! Literally! 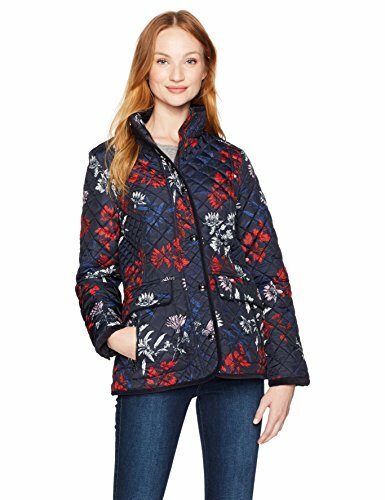 Cute Floral Pattern Quilted Jacket! What a lovely and very cute floral pattern design quilted jacket for women! It is a white fleece jacket with a cute stick figures holding hands design among love hearts, a smiling sun and flying birds! It also says ‘SAVE OUR PLANET EARTH’. Great to help spread a beautiful ‘peace and love’ message! 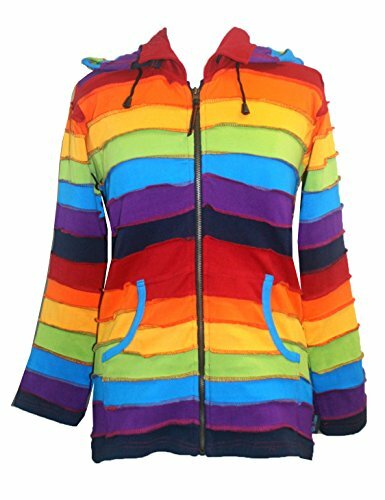 Very Cute RAINBOW Colors Cotton Jacket! How about wearing a RAINBOW jacket ladies? Will definitely make you stand out in colors!! It also has a cool detachable hood! It looks amazing with a nice pair of jeans! Very Cute Puffy Blue Jacket! 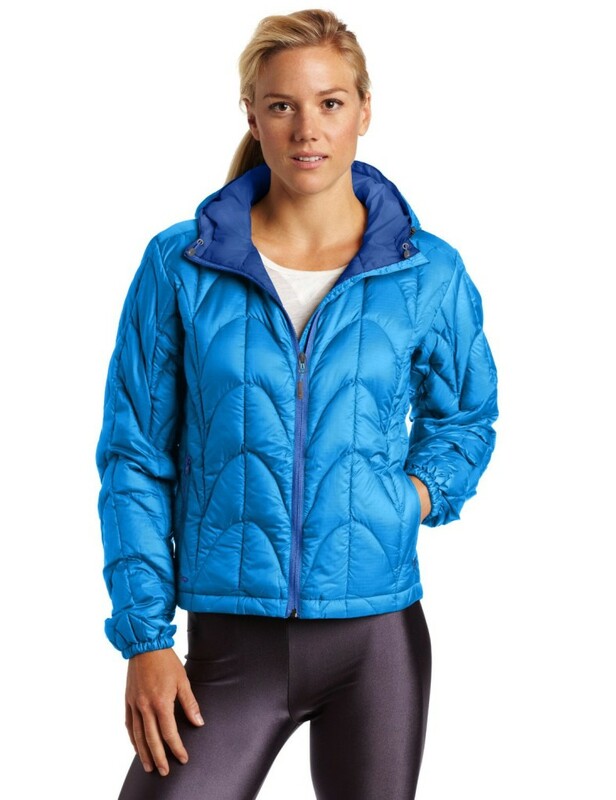 What a gorgeous bright blue ‘puffy’ winter jacket! I love the unique design and style! What a gorgeous and very stylish dark green color suede jacket for women! It spells fashion and style! It is heavenly, buttery, amazingly soft! The fit is ultra-flattering and feminine! Perfect to wear on any occasion, day or night! 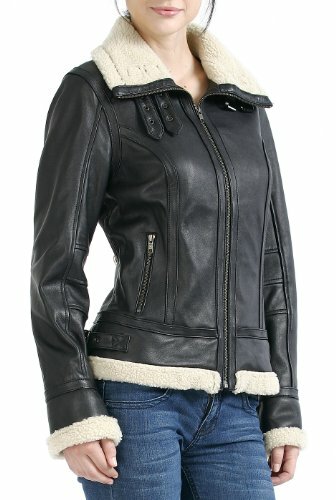 And last, but definitely not least, I present to you one of the cutest lambskin leather jackets for women around!! It’s a stylish black lambskin leather jacket with faux fur trimming. Isn’t is absolutely gorgeous?? What a beautiful color combination and what an amazing design! Will transform your look in seconds! Just pair it up with some nice jeans and a nice pair of boots! Before you go, check these out too!